I've been thinking about beauty lately. The physical appearance kind of beauty. The kind that we as women strive for....admit it or not. The kind that turns heads, makes magazine covers, lands modeling deals. The kind that we all want but feel we don't have enough of. The kind that makes that boy ask for your number. The kind that lipstick, hairspray, and tanning salons create. And then I think of the inner. And how no one can see it - not right away, that is. But it's there. And it surely will become evident, just give it a little time. And I think about how uneven the emphasis on inner / outer beauty is in our culture. How, from little girlhood we are taught by our media and culture to constantly fight and strive and work towards being "beautiful". And how it's not necessarily bad at all to want to be physically attractive and beautiful - but how the beauty of our hearts is often neglected. How easy it is (and I'm speaking from experience here) to fall into wanting to attract attention and turn heads. How easy it is to focus all your attention on outer beauty instead of inner. To spend an hour in front of the mirror curling your hair, but forget to tend to your soul by prayer and seeking the Lover of your soul. 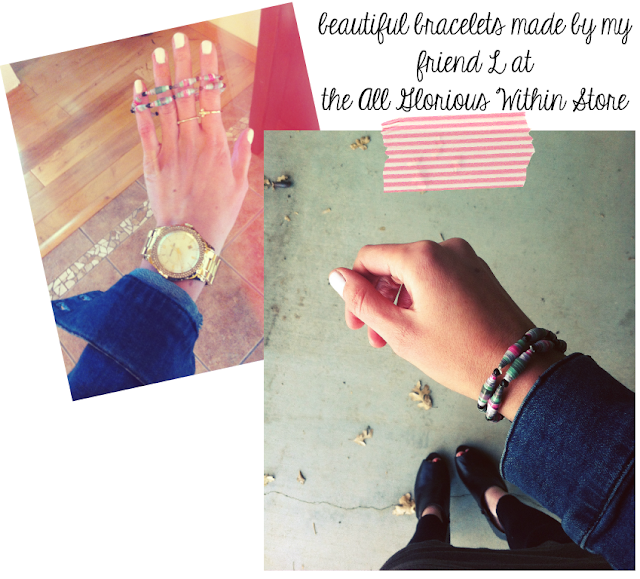 How easy it is to fall into dressing in a way that attracts attention - because, why not? Everyone else is doing it. Choosing clothes that are a little too tight, a little too low-cut. Girls, I know how hard it is - this balancing of outer and inner beauty. This fight we have chosen to take up against a culture that screams worldly, temporary, and rather worthless values, distracting us from our heart's goal. To hard but worth it choice to focus on God and say "no" to worldly things. The choice to dress modestly yet still being fashionable and trendy, creative and fun. I am finding that the only way we can be successful in our striving for the goal of attaining inner beauty rather than mere outer is this: to realize who calls us beautiful in the first place. When I realize this unbelievable truth - that He loves me and calls me beautiful, everything makes sense. It all falls into place. And when I realize He calls me beautiful - no, not for my pretty face or good looks, but for my heart. Who I am. For my soul. It is the most freeing, precious, and wonderful thing in the world. Ladies - who defines your beauty? The measurements, colors, styles, and standards of Hollywood and our perverted media? Or the Lord? The One who created you, who made your heart, who breathed life into you so that you are here this very day? Let Him love on you. You are His daughter, His princess. His joy. The apple of His eye. He loves you to the moon and back. And He calls you beautiful! In light of this - who cares what anyone thinks. Who cares about the haters. That critical eye. The culture and media that objectifies women, setting unrealistic standards using Photoshop, heavy makeup, and severe dieting. Listen to the voice that truly matters. 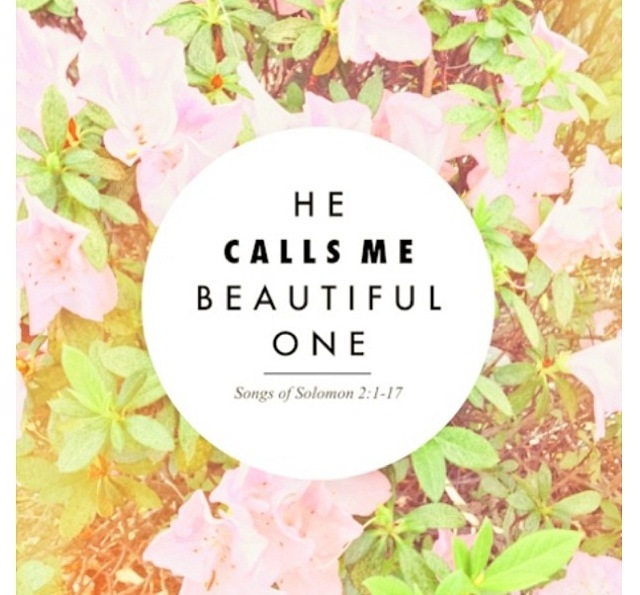 Listen to Him - He calls you "Beautiful One." And He loves you. Oh so much, beautiful one. and walk in it every day. PS - It's not too late to join my sponsors on my sidebar! See here for advertising options. Also, I'd love to feature your product on my blog! Email me at erin_sweetnessitself@hotmail.com to chat about it! Every word of this is truth. And you, my dear, are beautiful inside and out! Just what I needed to hear! Thanks, Erin! Once again an amazingly uplifting post Erin. You are so beautiful! Loved it, yet again. I know I've been one to focus too much on beauty in the past. Luckily, I married a man who hates makeup and things I'm fabulous lounging on the couch in sweats! lol. This is soo true! Thank you Erin. I was wondering - could you do a post on modesty? Also, isn't your skirt too short to be called modest? Even with tights/leggings?? Such a beautiful post! I love this so much and need to start listening to these words more! Nothing better than inner beauty! So encouraging Erin! 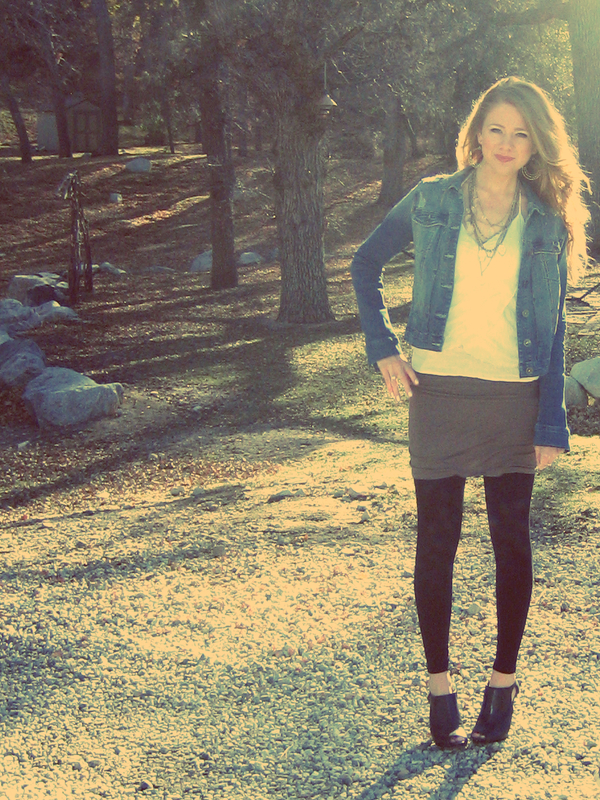 It can definitely be so hard to follow God in a world where the standard of "beauty" is so skewed. But in the end, it's only Him who can bring value! Beautiful. And as always, thank you for your pretty heart. You are beautiful, inside and out. Oh gosh this is so true. I like to think that i've "simplified" my beauty routine throughout the years, but I know that it's been engrained in me to still care about how I look. I will so pray that God will turn my heart toward my inner beauty first. oh how i want for my little girl to know this and be convicted by it in a world that tells otherwise. i know in praying with her and praying for her, she'll remember that the Lord's opinion is the only one that matters. Wonderful post my friend! Such a good reminder, and you are adorable :) Hugs! Amen, what a beautiful post!!! This really touched my spirit! Wonderful post! God isn't the only one who calls you beautiful one! I think you are beautiful from the inside out!! Blessings to you in 2013! As the mother of a teenage girl, these are the sentiments I share with her and hope she takes to heart. 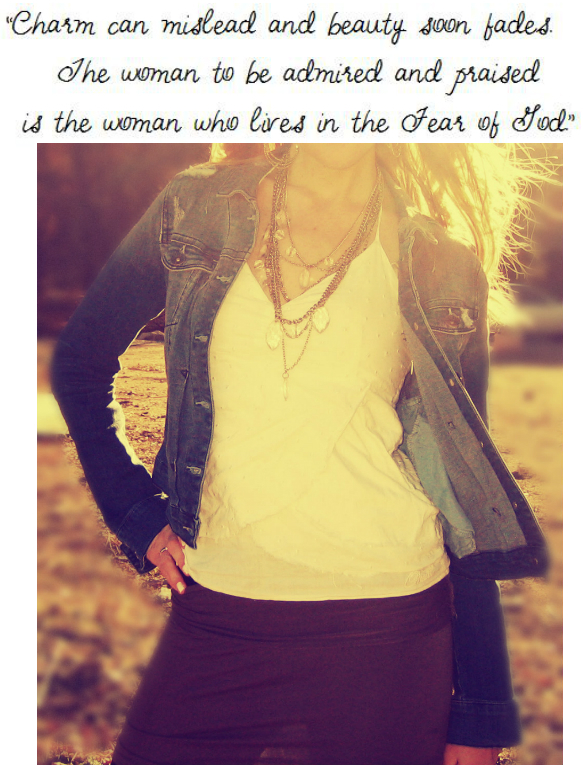 I just found your blog and this was such a wonderful reminder. It's so easy to get sucked into the beauty/vanity thing and I love that you reminded me to remember who created me in His image--not society's. Thank you so much for writing this! Lovely Erin, I absolutely adored this post, and it is absolutely so through every word you said. Keep blessing these girls through your blog posts. hi sweetie, loving your blog and your photos are stunning! So true and so needed. You lift my spirits so. I hope you are having a great and fresh new week. :) Love you! p.s. I'm just LOVING your new bloggy look! I LOVE your blog and am so excited to be following now! Thanks for such inspiring words! What a beautiful, inspiring post. In a world that focuses on outer beauty, we need to work extra hard to make sure we're beautiful on the inside, and that we teach our daughters, nieces, sisters, and friends that. Outer beauty can fade, but inner beauty is forever.